Kris Faafoi, Minister of Commerce and Consumer Affairs, took part in a question-and-answer session at the Financial Services Federation’s annual conference. Find out what he had to say. New Zealand is getting to the point where some of its most vulnerable consumers will never be able to take out a loan to buy a car, but still need one to get to the supermarket, work and so on. 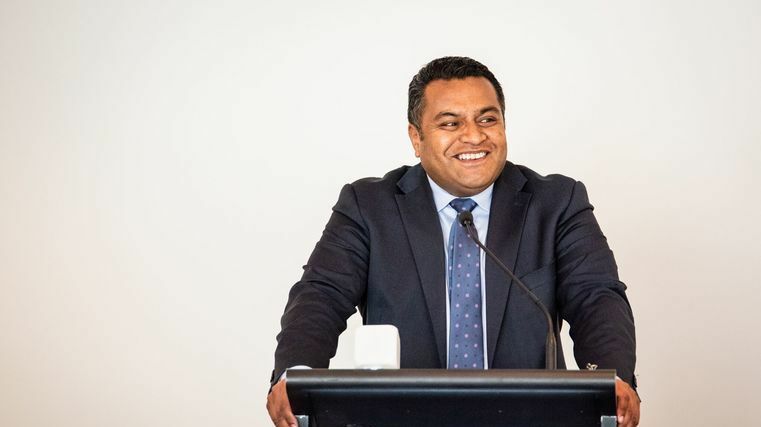 That was one of the views expressed by Kris Faafoi, Minister of Commerce and Consumer Affairs, at the annual conference held by the Financial Services Federation on October 10 in Auckland. Here are some edited highlights from the question-and-answer session with Faafoi. Question: Should the government take more responsibility for ensuring people who can’t afford cars can access them? Answer: I don’t think we want to get to that stage, so we need to become more innovative. People don’t necessarily need to own a car to use a car. Some families certainly can’t afford to buy a car, but still need to use one on a regular basis, so we will need to be a lot more creative in the future about the use and ownership of cars. Q: What do you think about doing something similar to what Australia has done around making proven income mandatory? A: From what I’ve seen from some companies that have been open with us so far is a lot of that’s already happening. They look at what they earn and their spending habits to assess whether or not they’re at risk if they took out a loan. A lot of that work is already happening, but we’ve heard some horror stories when people can’t pay rent or buy food. Q: How do you strike a balance to ensure all the increased rent regulations and so on aren’t going to end up hurting the very people who need to get loans? A: Because we need to do both. Feedback from the industry is there’s a lack of enforcement and I would agree. As well as introducing these policy changes [to the Credit Contracts and Consumer Finance Act], backing this up with more resources for the Commerce Commission to enforce is important. But if we didn’t introduce the regulation, the behaviour we’ve seen and are really concerned about will continue. We’re talking about our most vulnerable consumers who don’t seek help or won’t seek help until it’s too late. An example we had was when a $500 loan left unchecked could turn into $3,500. For some of us, this $3,500 might not be a massive issue to deal with. I can’t simply have an all-good conscience as a minister, and be responsible for that and let that continue. There’s a lot of good stuff that’s happening in the industry. I’m confident people are doing the right work to ensure loans they are giving people are based on hard data and they can afford to pay back. People who find themselves in situations when it’s difficult to pay back a loan… [it] means they spiral out of control. That’s a disproportionate amount of harm on a very small number of vulnerable New Zealanders. Q: I’m interested to hear how you’re feeling about what’s happening over the ditch with the Royal Commission, potentially some profound change will occur. What’s your thinking about opportunities to get ahead of the game that might impact New Zealand?